On the way home from work yesterday, I called Mrs. G and asked her what she wanted for dinner. She replied pizza. How can you argue with that? I figured I had enough time to get home, let the dogs out, start the pizza dough and then run to the store for a few ingredients. Turns out we didn’t have enough flour. Where did all our flour go? It’s not like we bake or anything. Now, I wasn’t going to have time to make our pizza dough from scratch. Dag nabbit! Mrs. G and I go totally different ways when it comes to pizza. She generally likes to use and Alfredo for her sauce. 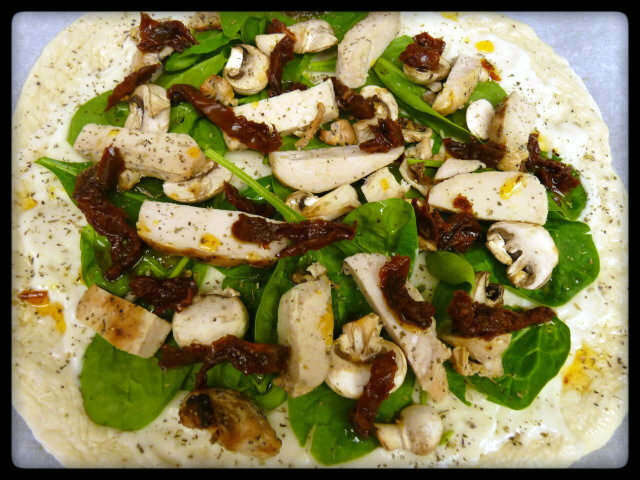 Tonight, she topped hers with some leftover grilled chicken, mushrooms, spinach and some sun-dried tomatoes. 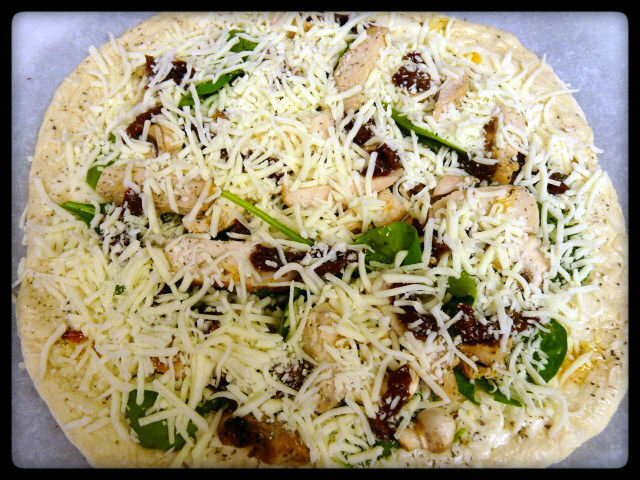 Then topped with some shredded mozzarella cheese. Ready to go on the Egg. Me….I’m more of a classic pizza guy. 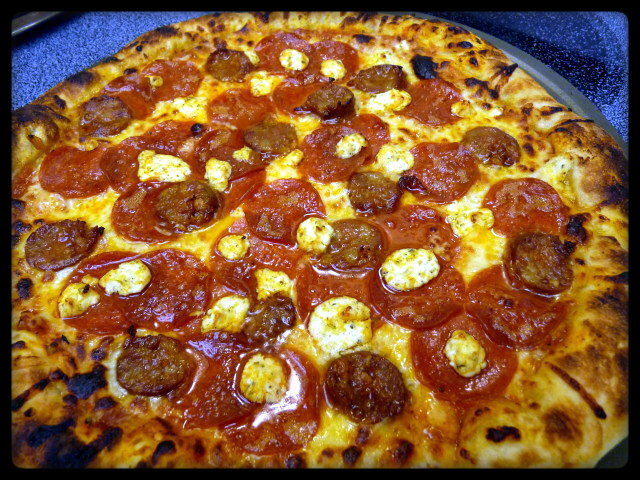 Every pizza should have pepperoni. Any other meat you want to throw on there is just an added bonus, but please keep your veggies off. Veggies belong in a salad, not on my pizza. 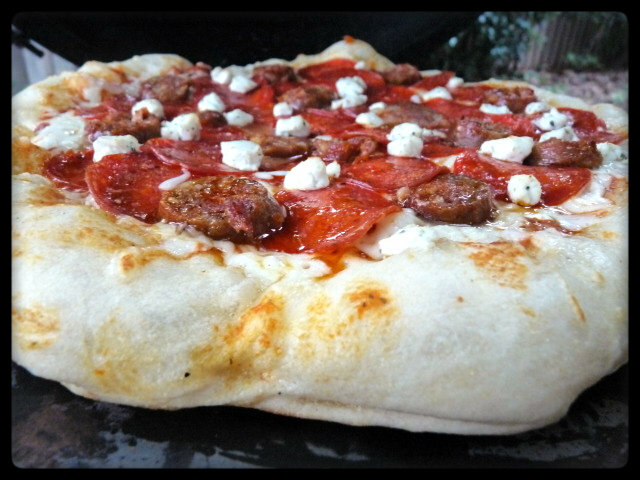 Tonight, I went with some pepperoni (duh), some Spanish chorizo, garlic and herb goat cheese and mozzarella…all stuff I found in the fridge!! Now that’s my kinda pizza!! 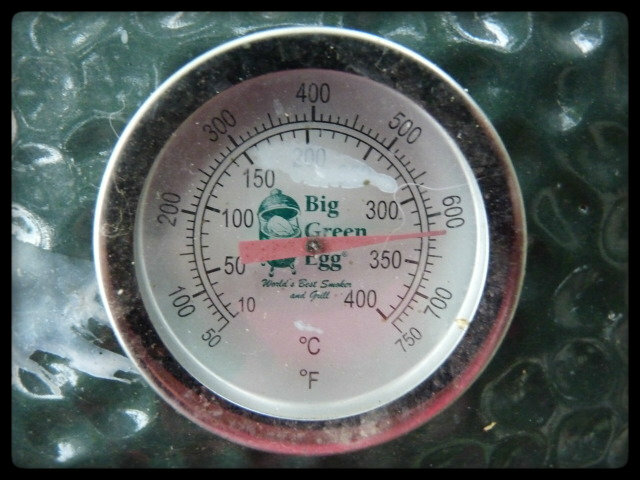 Before we prepped our pizzas, I had lit the Egg and got it stabilized at 600F so it would be ready to go when we were. Guess it wasn’t quite stabilized as it rose just a hair…but close enough for me. Mrs. G’s pizza went on first. We like to use the parchment paper trick. This allows you to slide the pizza from a cookie sheet or a cutting board onto your pizza stone that has already pre-warmed in the Egg, without the pizza deforming or becoming stuck. 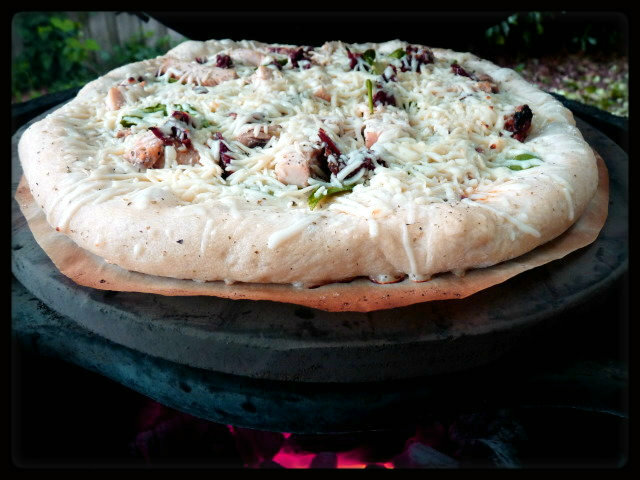 After a few minutes, open the dome and with a pair of tongs, grab an edge of the parchment paper and slide it out from underneath the pizza. If it doesn’t come out easily, give it a few more minutes. Pizza on the Egg at this temp goes pretty fast, so keep an eye on it. A good way to do that is to peak down the hole on the top of the Egg. I’d like to say Mrs. G’s pizza took about 7-9 minutes, but I wasn’t really watching the time. Hey! I like pizza, too. Can I have some? After Mrs. G’s, it was time to throw mine on. Look at the rise on that crust!! This isn’t gonna be no thin crust pizza. Mine took a lil less time than Mrs. G’s. 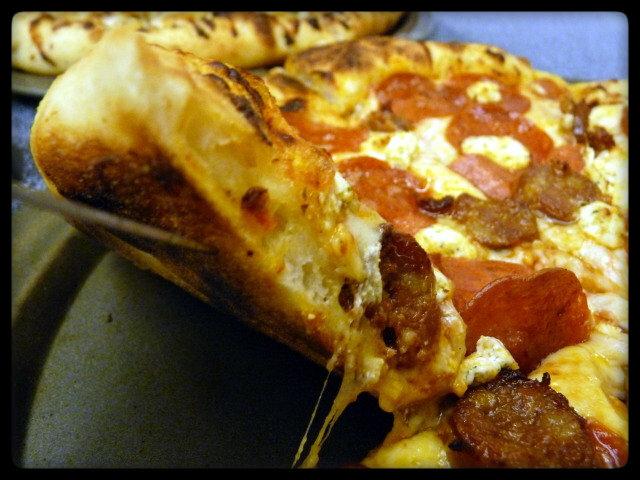 It seems like the secon pizza always cooks a bit faster, so keep an eye on them. I think we let Mrs. G’s go just a tad too long. Not burned or anything, but I think we should have pulled it about 30 seconds to a minute sooner. So which one would you rather have ordered? Good thing is…it didn’t matter. We shared our pizzas because obviously it was more than either of us could finish. 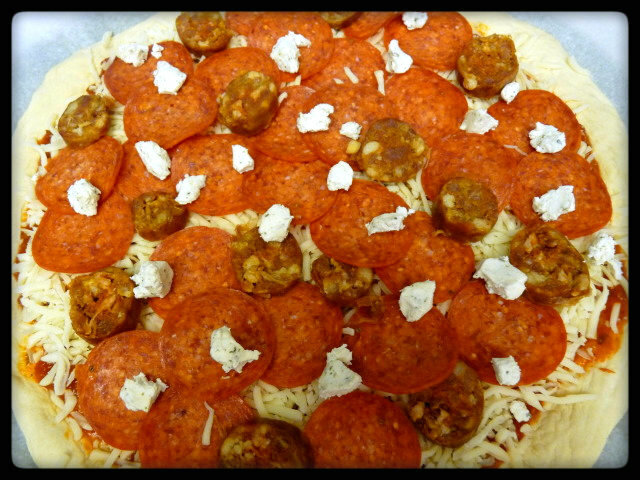 I really liked the spanish chorizo and how it worked with the pepperoni, although later my stomach disagreed. Can you say heartburn? Yes, I’ll have a few Tums for dessert please. And Mrs. G’s came out wonderful, as always. The spinach and chicken really worked well together. Crust came our really good, more like a regular style crust than a thin crust. If you are more into thin crust pizza, my advice would be to just buy one of the pizza balls and cut it in half and roll it out thinner. 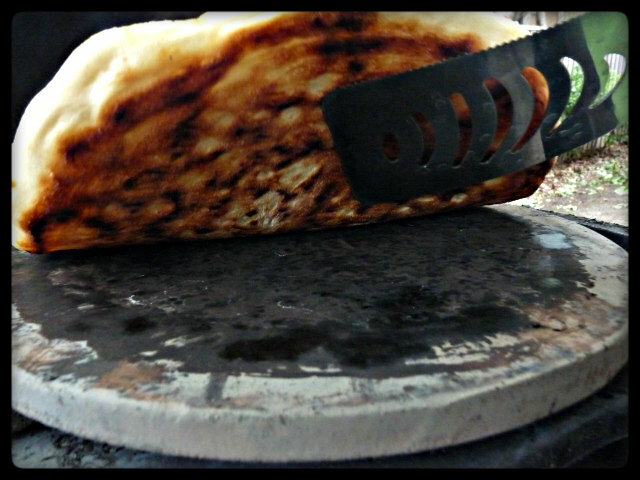 As you can see from my pictures, I couldn’t roll mine out any thinner and still have it fit on the pizza stone. All in all, two really good pizzas and a whole lot less than delivery would have cost us, and better, too. 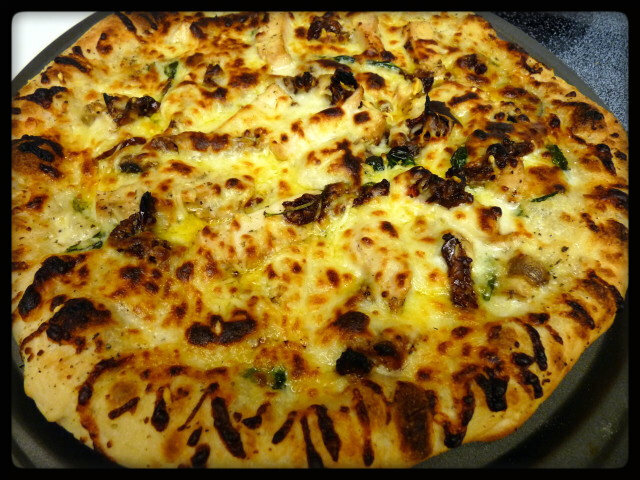 Pizza has become one of our favorite cooks on the Egg. Blows away delivery. Looks great, Grif! Gotta choose Mrs. G’s pizza over the one with goat cheese. 😉 But I’d try yours too. I guess my pizza is the best! I’m going with Mrs. G on this one, Jason. Us women-folk gotta stick together. Just what I would expect from you. 😉 Next your gonna say you’d like her pizza but with olives on it. Hahaha. Lol it’s a pizza kinda day! Yours look great! Both your pizzas looks amazing! Greasy, cheesy goodness 🙂 I basically lost it when I saw those pictures. Oh my goodness, I think I need one of those egg things! My husband will kill me though if I ask for another “cooking gadget”! 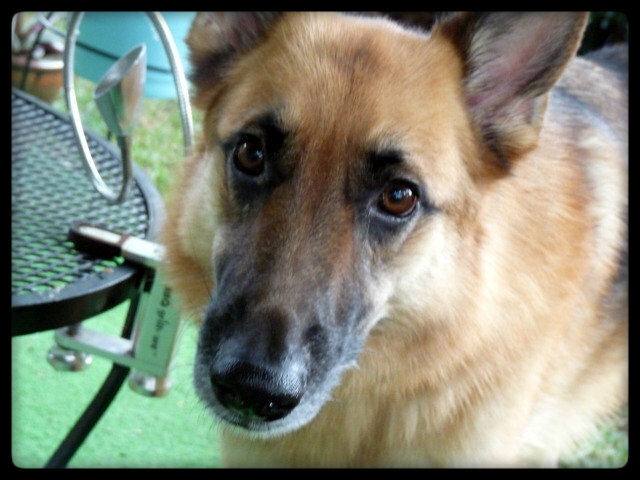 Haha By the way, your dog is stinking cute! Mrs. G’s version looks awesome! I’d have to try each pizza (multiple) times in order to be able to decide which I like better. They both look amazing. I love meat, but I really do like spinach with alfredo sauce a lot as well. See, I need both. I think pizza is one of the best ways to use up those weird little bits of this and that in the fridge. I like the pizza concept too. 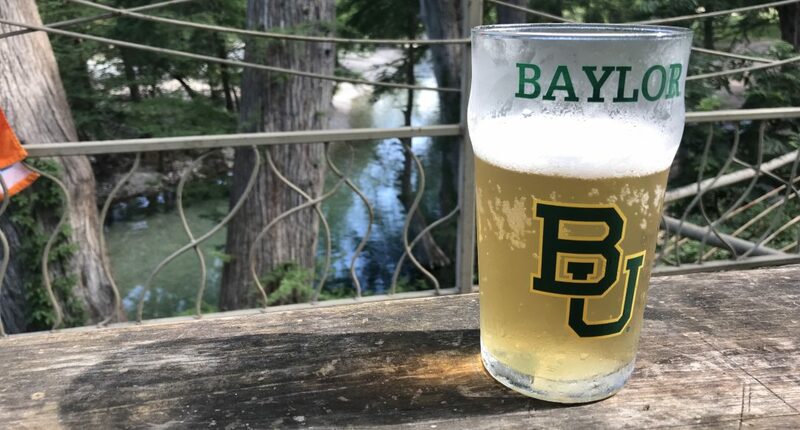 You can use all kinds of leftovers and get endless experiences. Those pizzas look great. 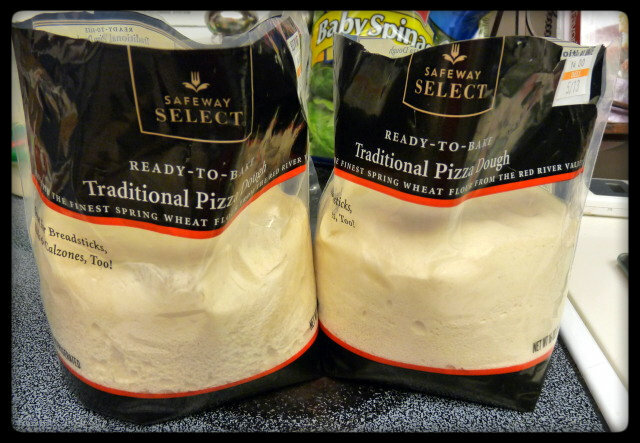 I used Safeway’s dough last week, and it was pretty good. Not as good as homemade, but in a pinch….Love that you didn’t have to heat up your oven, too. You are totally right, not as good as homemade, but ok in a pinch. Sometimes ya gotta do what ya gotta do. Everyone in my house adores pizza on the grill. I grill directly on the rack. What brand stone do you use? 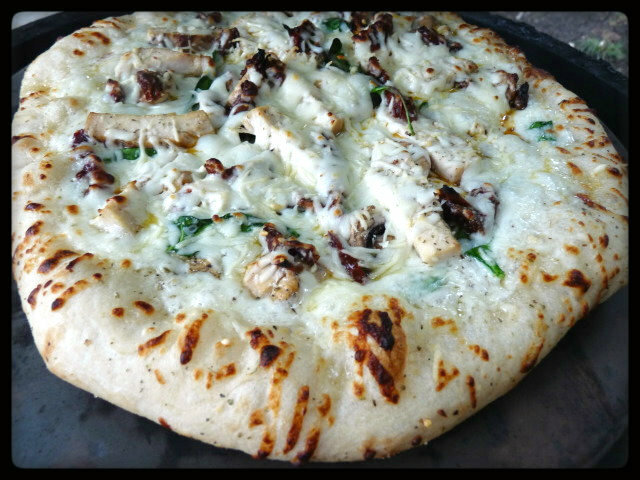 I use the Big Green Egg pizza stone. It seems to be made thicker and can withstand the heat you can generate in an Egg. I’ve heard of quite a few people who have tried using Pampered Chef or other brands, and while they work fine in an oven, can crack at heat over 600.